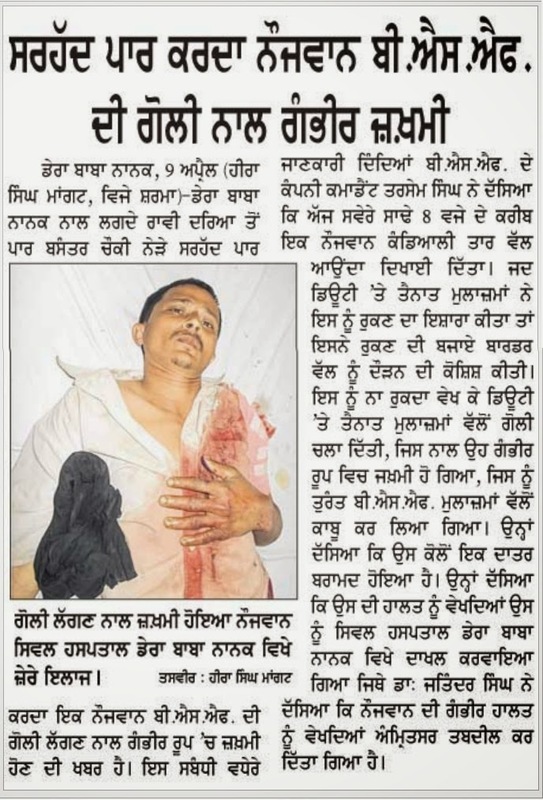 Yesterday there was a news that an unidentified person has been caught who was trying to cross barbed fence border at Dera Baba Nanak sector in district Gurdaspur. The person was also fired upon but he was lucky as the bullet instead of piercing his heart, crossed through the shoulder. We saw this Nepali person in Guru Nanak Hospital in Amritsar today. But an year ago another person who crossed border in the same sector was not lucky enough. He being a mental case ignored the BSF warning and was killed. But these are not isolated cases. This daily happening on the long Indo-Pak or Indo-Bangladesh border. Here the Indian border police straightaway kills the person instead of catching him alive and prosecuting. Any civilised nation would at the most punish such a crime with 2-3 months of imprisonment but for India the life is not so important. Reader would be surprised that though Indian Passport Act 1967 provides for maximum of 2 years imprisonment while the border police straight away kills. The same border police BSF is notorious for being hand in glove for clandestinely allowing smuggling of drugs and weapons from across the border. We often come across news that such and such amount of heroine has been caught for which the market value is say 100 crores. People hardly know that the heroine worth 1000 crores have been successfully smuggled but only a small quantity is shown. We also come across news items where a coolie or carrier is shown to be have been nabbed while smuggling the drugs but we have never come across any news where it is shown that the BSF interrogated the coolie who identified the big smuggler for whom the coolie was working. We often get impressed with the amount of caught drugs but we have never tried to know about the lavish living of some of the BSF officers. Well they can hide income but the expenditure is before every body. 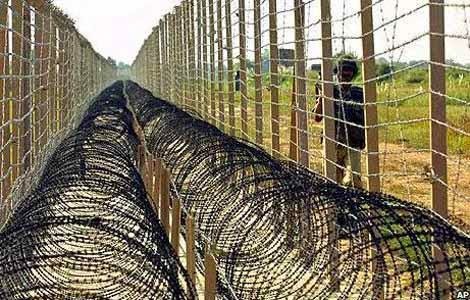 The Indian Supreme court has ruled in thousands of cases that capital punishment is to be awarded in rarest of rare crimes but on the border the BSF kill for merely touching the border. But who cares.